"A CLEAN SWEEP OF THE MAJORS"
"Imagine the thrill of being handed 300 acres of beautifully treed rich Carolina bottom land and being told to 'Give it your best shot!' As you'll see, we did just that. Now it's your turn." Hilton Head National opened its doors officially on November 1, 1989 and has gained a reputation as being one of the best public access golf courses in the region as noted by Links Magazine in April 2011 as being one of the "Top Ten Golf Courses in the Low Country"
Hall of famer, Gary Player, with over 200 golf designs in his international portfoliio and former PGA Tour Architecturial Consultant and winner of numerous golf design awards, Bobby Weed have routed two nines that carry their distinctive design philosophies and created a unique golf experience that makes you utilize all the clubs in your bag. A 2,300 acre residential golf community, Barefoot Resort & Golf is one of the most exceptional golf resorts in Myrtle Beach. With names like Tom Fazio, Davis Love III, Greg Norman and Pete Dye, golfers know that they will be treated to some of the finest golf architecture in the world. On April 13, 2000 Barefoot successfully opened four championship courses simultaneously, making it the only time a developer has opened four new courses at the same time in the United States. For those who want a respite from the frenzy of city life, a wonderful and serene golf escape awaits you at sun-drenched Myrtle Beach. We made sure that an appropriate course is available that is suited to your handicap level in more than 70 courses to choose from at Myrtle Beach. When looking to plan your first or next Myrtle Beach golf trip make sure to visit the experts at Vacation Myrtle Beach. 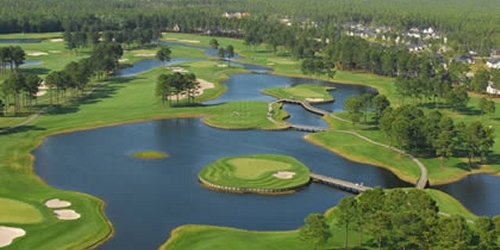 One of the local favorites, The Oyster Reef Golf Club opened in 1982 and was immediately recognized as one of the "Top 25 new courses in America". 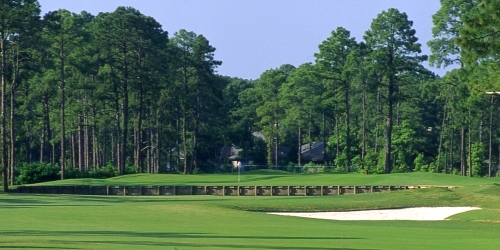 This Rees Jones design has been voted one of the "Top 20 Courses in the Carolinas" ,carved out of 190 acres of breathtaking low country terrain, Oyster Reef Golf Club's spectacular 18-hole championship layout winds the golfer around lagoons, lush vegetation, and challenges the golfer with over 80 bunkers that protect the well manicured greens. Oyster Reef's signature hole #6, a par 3, features a well protected green with scenic views of the inlet to Port Royal Sound. The Oyster Reef Golf Club is part of The Heritage Golf Collection on Hilton Head Island featuring seven courses on four properties, Port Royal, Shipyard, Palmetto Hall, and Oyster Reef Golf Clubs. From the beginner golfer to the avid ones, we have a course perfect for you. values and impeccable year-round conditioning. Golf the Mountains to Midlands of South Carolina! The Mountains to Midlands Golf Alliance is a partnership of the regions from the center of the State west to the Augusta/Georgia border and up to the northwest tip. Natural beauty and great golf come together at Cheraw State Park. An 18-hole championship course winds its way through the long-leaf pinelands of the traditional state park, a course that's earned notice from the Aubudon Society for the way it's managed to preserve and protect the habitat it shares with uncommon critters such as red-cockaded woodpeckers and fox squirrels. Of the 100 or so courses in the Myrtle Beach area, True Blue, a member of the Waccamaw Golf Trail, was recently ranked the number one public course by Golf Digest. True Blue's sister course, Caledonia Golf & Fish Club, also has received a four-and-a-half-star rating by that magazine. 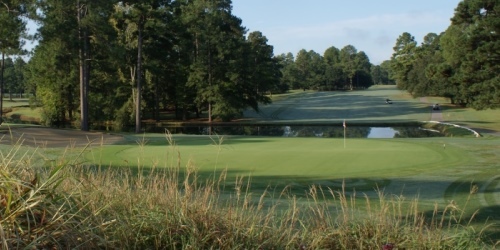 Pawleys Plantation is a Jack Nicklaus signature course that demands the best of those who play it, and Blackmoor is a Gary Player course that delivers flair and challenges at a reasonable rate. There is nothing quite like Hilton Head Island, with its high concentration of world class quality courses, peaceful surroundings, great ocean and marsh views and incredible amenities. 25 courses, including world famous Harbour Town Golf Links at Sea Pines, go from good to better to best here - there are no marginal quality courses - and you have your pick, of literally hundreds of restaurants, plus shopping that ranges from outlets to high end - and even the outlets are high end. 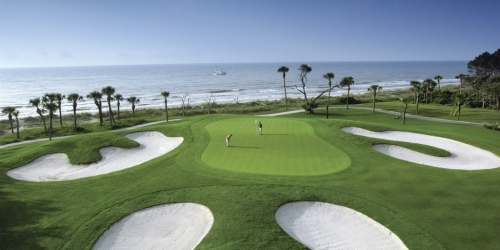 It's a fabulous place, well-established and well-known and you can count on Hilton Head Island to deliver an exceptional golf experience, for individuals and groups, time after time. 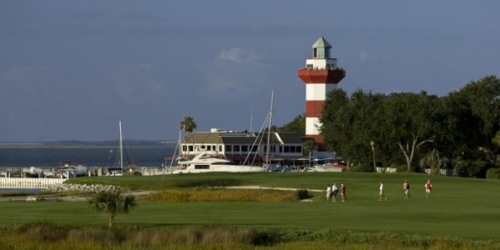 Port Royal Golf & Racquet Club is nestled along the Atlantic coastline on the northwestern point of Hilton Head Island. Imagine 54 holes of legendary golf nestled within one of Hilton Head Island's most pristine plantations along the Atlantic coastline. This golf haven was designed by some of the best golf architects, such as George Cobb, Pete Dye and William Byrd. Port Royal is also the home to the Island Golf School, a comprehensive and state-of-the-art game improvement facility. At the Port Royal Golf Club, you can choose your 18-hole pleasure: Barony, Planter's Row, and Robber's Row. 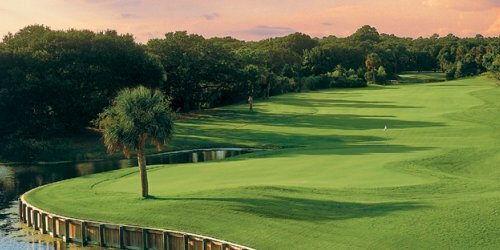 Port Royal Golf & Racquet Club is part of The Heritage Golf Collection on Hilton Head Island featuring seven courses on four properties, Port Royal, Shipyard, Palmetto Hall, and Oyster Reef Golf Clubs. From the beginner golfer to the avid ones, we have a course perfect for you. The Charleston area is the gem of South Carolina golf, and was home to its first golf course back in 1786! Strategically located halfway between Myrtle Beach and Hilton Head, this beautiful seaport and resort city has been consistently ranked as a "Top Ten" North American travel destination by both Conde' Nast Traveler and Travel + Leisure magazines. 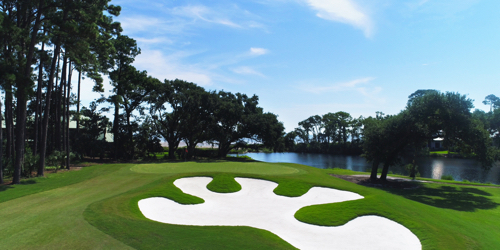 The area's 19 championship courses are a big part of Charleston's charm. Charleston has played host to the 1991 Ryder Cup (the infamous "War by the Shore"), the 1997 and 2003 World Cup of Golf, the 2007 Senior PGA Championship and the LPGA's 2007 and 2008 Ginn Tribute hosted by ANNIKA. Charleston is very excited to be hosting the 2012 PGA Championship, which will be played on the Ocean Course at Kiawah Island Golf Resort. Nestled within Hilton Head's natural setting of majestic Carolina pine trees, flowering magnolias and moss draped oaks, Shipyard Golf Club's 27-holes offer some of the most spectacular golf views imaginable. The course designers, George W. Cobb and Willard C. Byrd, inter-connected two of the three nine hole courses for a unique and challenging 18-hole round. The original Clipper and Galleon courses create and exciting combination of long fairways and perilous hazards, while the Brigantine course winds its way around lagoons and breathtaking terrain. 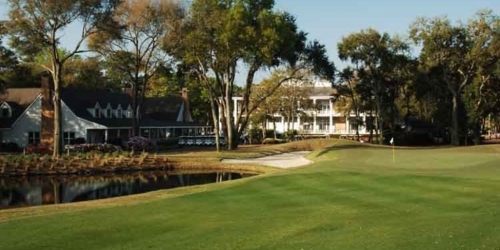 The former home of the Hilton Head Senior International from 1982 to 1984, Shipyard Golf Club was rated as one of the finest layouts on the CHAMPIONS TOUR. Shipyard Golf Club is part of The Heritage Golf Collection on Hilton Head Island featuring seven courses on four properties, Port Royal, Shipyard, Palmetto Hall, and Oyster Reef Golf Clubs. From the beginner golfer to the avid ones, we have a course perfect for you. Rated 4 stars by Golf Digest's Places to Play.